Crewe, UK. Apply from all UK. We are looking for influencers for énergie Fitness Tunstall to join our team in creating content at our gym in Tunstall. 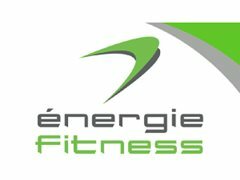 énergie Fitness is a 24 hour fitness centre, which promises state-of-the-art Precor Cardio, resistance and free weight equipment and training zones, as well as a functional training space for high-intensity, all-inclusive classes, such as boxing, slam balls and suspension trainers. We have a packed timetable with at least 40 classes each week and a personal service. As part of énergie Fitness clubs across the UK, we are proud to be able to launch our brand-new signature training concept known as ‘thé YARD Club Edition’. Created by our very own Training and Development team here at énergie Central, thé YARD Club Edition brings a series of all-inclusive classes to our énergie Fitness clubs, transforming the way our members train and in turn significantly diversifying the énergie gym experience. Fighting FIT: Our signature boutique class experience uses simple boxing combinations, plyometric exercises and suspension training moves to maximise your effort levels in an ascending pyramid timing format. Double HIIT: Working for no more than 40 seconds at a time, we incorporate speedy boxing combinations and multi-muscle moves to HIIT your body and heart rate where you need it the most. As part of thé YARD Club Edition, you can also keep track of your real-time workout data and fitness progression via the MYZONE® Belt which connects to both the MYZONE® App (iOSand android) and the énergie Fitness App (iOS and android). This motivational training tool keeps you on top of your game during every workout, enforcing an element of competition between each class participant to encourage maximum performance. Classes and equipment aside, the extensive coaching structure behind The Yard had been developed to ensure that our staff are clued up in every aspect of thé YARD Club Edition programme. In doing so, this brings a level of consistency to each of our énergie Fitness clubs – making sure that every member receives the same exceptional and rewarding in-class experience.